The China International Fair for Investment and Trade (CIFIT) is a top international investment and trade facilitation platform. The WTCA has organized trade mission delegations to join the CIFIT each year ever since 2011. 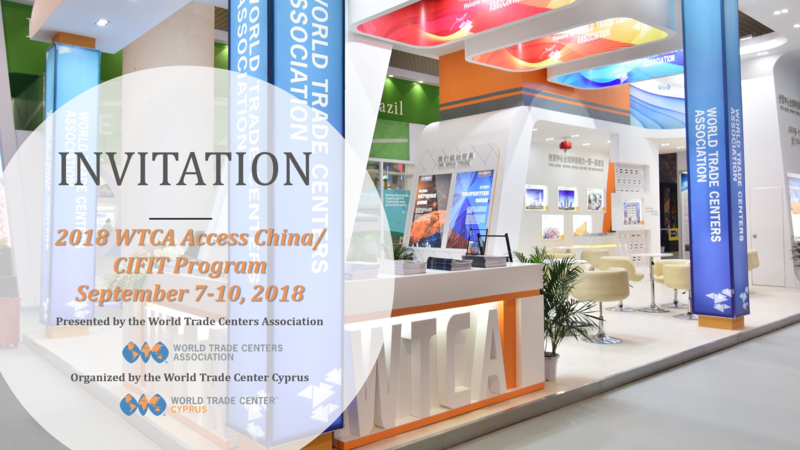 This year, the WTCA CIFIT program features a WTCA Pavilion that showcases WTCA branding and demonstrates WTC global network, a World Business Leaders Roundtable co-hosted with WTC Xiamen, and facilitation for participants to attend CIFIT forums, seminars, matchmaking meetings, and industrial tours. · A top international investment and trade facilitation platform sponsored by the Ministry of Commerce of China and co-sponsored by UNCTAD, UNIDO, WTC, OECD, IFC and WAIPA. · The only and largest global investment exposition certified by the Global Association of the Exhibition Industry (UFI). · A one-stop-shop for investment and trade with programs including exhibitions, high-level forums, regional investment environment/project promotion sessions, matchmaking, hosted networking events and an “Online CIFIT” portion. · Attended by senior government leaders, company representatives, real estate developers, trade specialists and media reporters from all over China and the rest of the world. · Senior officials from central, provincial and 300 city governments in China. · 50,000+ participants from all over China. · 15,000+ overseas visitors from 100+ countries and regions. · 3,000 matchmaking sessions on nearly 30,000 projects. · 2,000+ exhibitors with the total exhibition area of 1.5 million square feet. · Over 1,500 media reporters.